Entrepreneurship isn’t learnt overnight; it demands dedication, hard work and a goal. 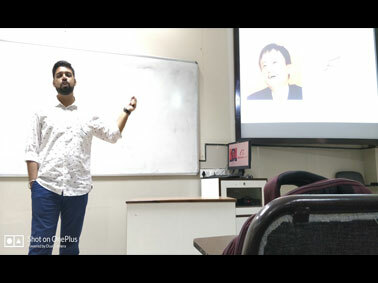 A guest lecture on ‘The First Step in the world of Entrepreneurship’ by Mr Kartik Waghela, Co-Founder of Vital Four Events Pvt Ltd, was organized by MET Institute of Computer Science on 27th March 2018. Mr. Waghela, spoke about his journey towards Entrepreneurship that led into a collaborative discussion on how techies can achieve success in professional endeavors with invention, productivity, rigidity and suppleness. MET Institute of Computer Science Entrepreneurship Development Cell (EDC) has been established to inspire students to inculcate entrepreneurs in them. 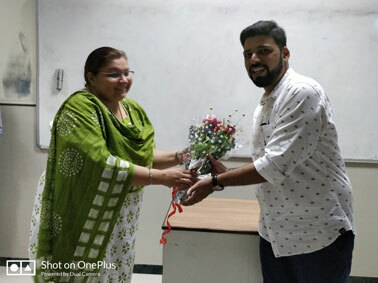 Adding to the Institute’s intent, the guest lecture not only created cognizance on Entrepreneurship among MCA students but also inculcated entrepreneurial essence and certainly motivated students to engage in entrepreneurship. Such inputs during MCA at MET makes it one of the best MCA institutes in Mumbai.